The Visiting Research Internship Program (VRIP) is an eight-week mentored, summer research program designed to enrich medical students' interest in research and health-related careers, particularly clinical/translational research careers. In addition to a mentored clinical/translational research experience, VRIP students participate in weekly seminars with Harvard faculty focusing on topics such as research methodology, health disparities, ethics, and career paths. 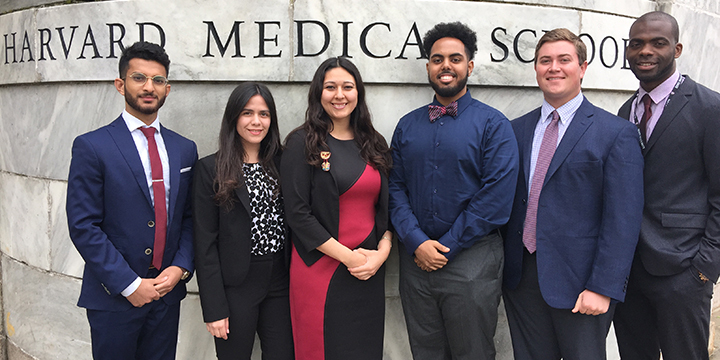 Participants also have the opportunity to participate in offerings of other Harvard Medical School programs such as career development seminars and networking dinners. Eligible participants are first and second year medical students, particularly individuals from groups underrepresented in medicine and/or disadvantaged individuals, in good standing from accredited U.S. medical schools. US Citizens or U.S. Noncitizen Nationals or Permanent Residents of U.S. are eligible to apply. 2019 application process is now closed.